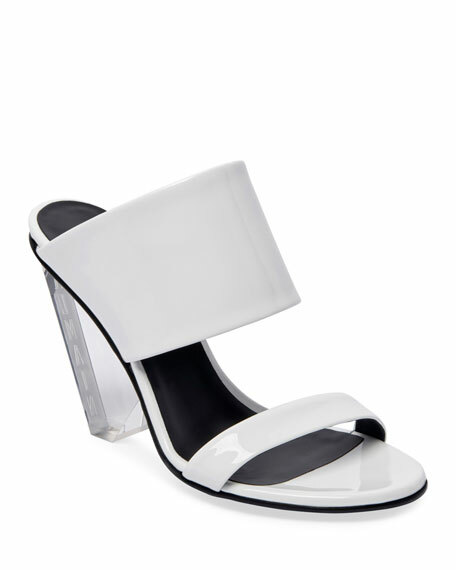 Gianvito Rossi shiny patent leather sandals. 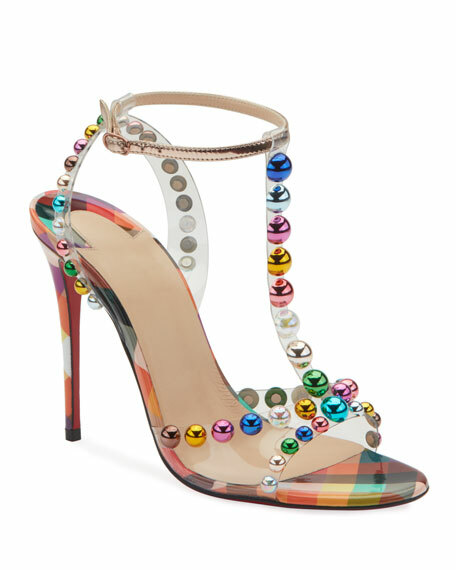 Christian Louboutin sandals in bauble-studded clear vinyl and patent leather. 4" covered stiletto heel. Adjustable T-strap. Signature red leather outsole. "Faridavavie" is made in Italy.